Jash’s high quality welding platens are known for their precision and long-term performance. 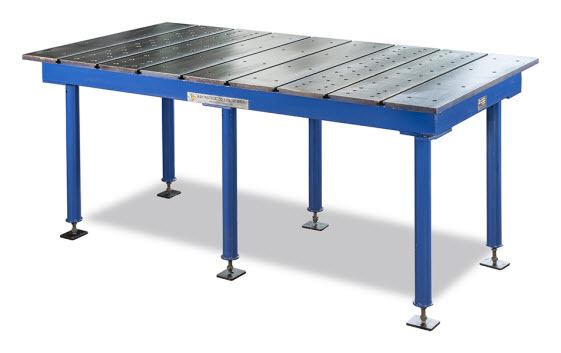 These welding tables are also known as bending blocks, set up Blocks, Layout Blocks, Assembly Platens, and Welding platen. They have a wide application in Shipyards, Rail Roads, Pipe and Steel Fabrication Shops, Welding and where metal is Formed, Shaped or Welded. Our welding tables have earned a reputation of being easy to work with and capable of delivering long term results. In addition to providing top notch welding tables for sale, we also offer stands for welding tables which are made available upon request. This is not a default set so if our customers need the stand, we deliver it to them as per their requirements. 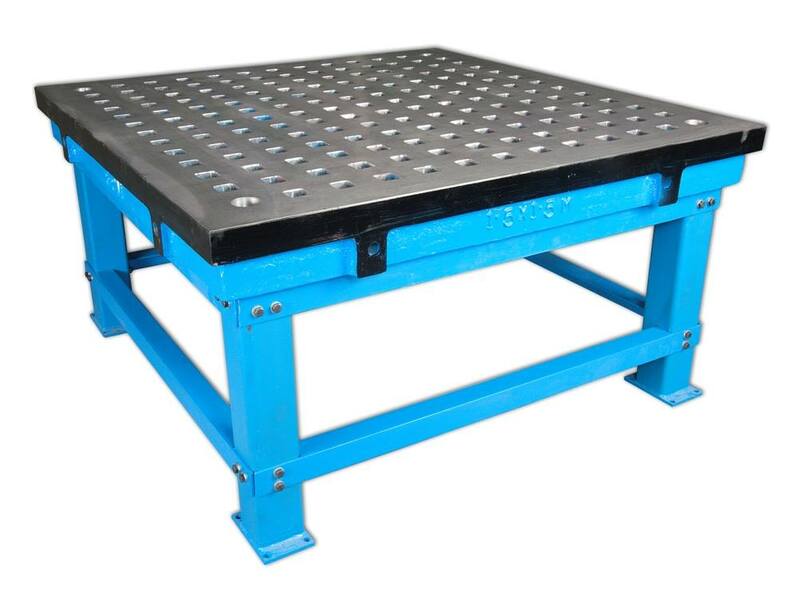 Although we have standard variants of Welding Table for Sale, we are capable of fulfilling custom requirements. Our custom solutions not only focus on specific dimensions and build of the platen table, but also provide the ability to get higher grades of casting if required. Due to this, our customers get the benefit of high quality platen tables that are completely suited to their requirement and work environment. Made from close grained Cast Iron to minimum Grade FG:200 - IS:210 having hardness within 160-220 HB. Also offered in higher grades of casting upon request. Castings stress relieved as a precaution against distortion. Cored and Ribbed construction for lightness and good rigidity of welding tables available for sale. Platens having solid slab can also be made. Top surface provided with cored or drilled round holes or cored square holes through out top surface, as required, for clamping bending, dogging etc. Stands for welding tables (if required) supplied at extra cost.